Description: Everyone knows that lies can come back to bite you, but when Erika makes up a fake boyfriend to impress her new classmates, the results may literally end up hounding her forever!Yes, it was dumb, but what were the odds that the random guy whose picture she used would turn out to be a student at her own school? Or that said faux-boyfriend's silence would come with such a horrible price? Now Erika doesn't just have to run and fetch at Kyoya Sata's command, she has to bark too!Because he's literally treating her like a dog, and she just has to roll over and take it, or he'll tell everyone the truth! But that's not the worst part, because even though this wolf in hunk's clothing has Erika collared, she may be starting to have REAL feelings for him anyway! 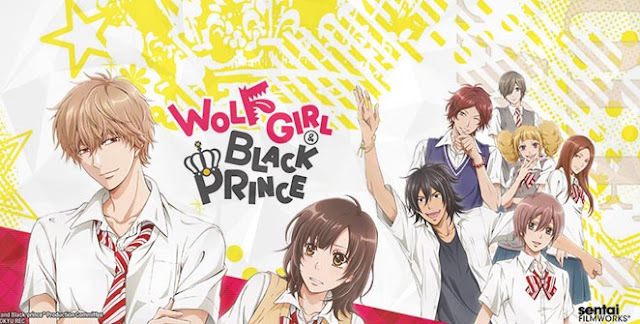 Is she barking up the wrong tree, or could true love be unleashed in Wolf Girl & Black Prince?